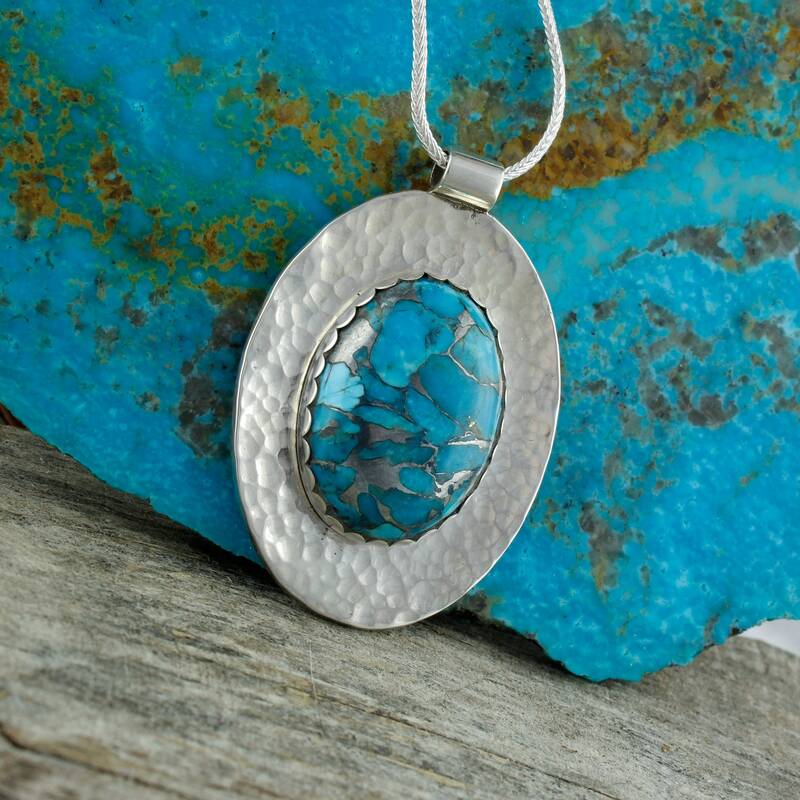 Turquoise Pendant - Silver Pendant - Turquoise Necklace - Pendant Necklace: This exciting sterling silver pendant features a genuine Mohave Blue Turquoise stone. 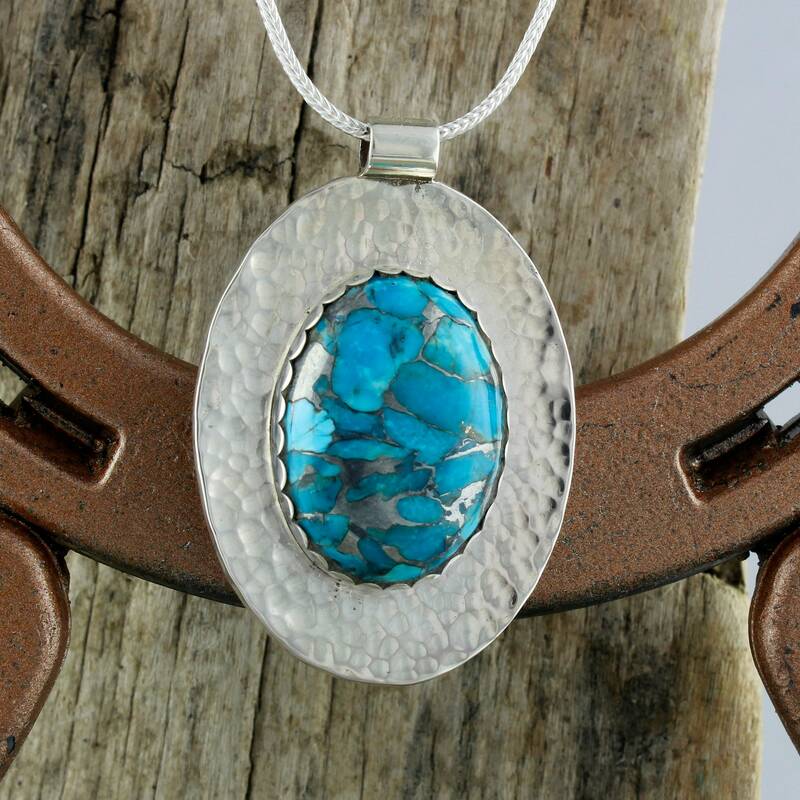 The Mohave Blue Turquoise stone is 25mm x 18mm (1" x 3/4"). 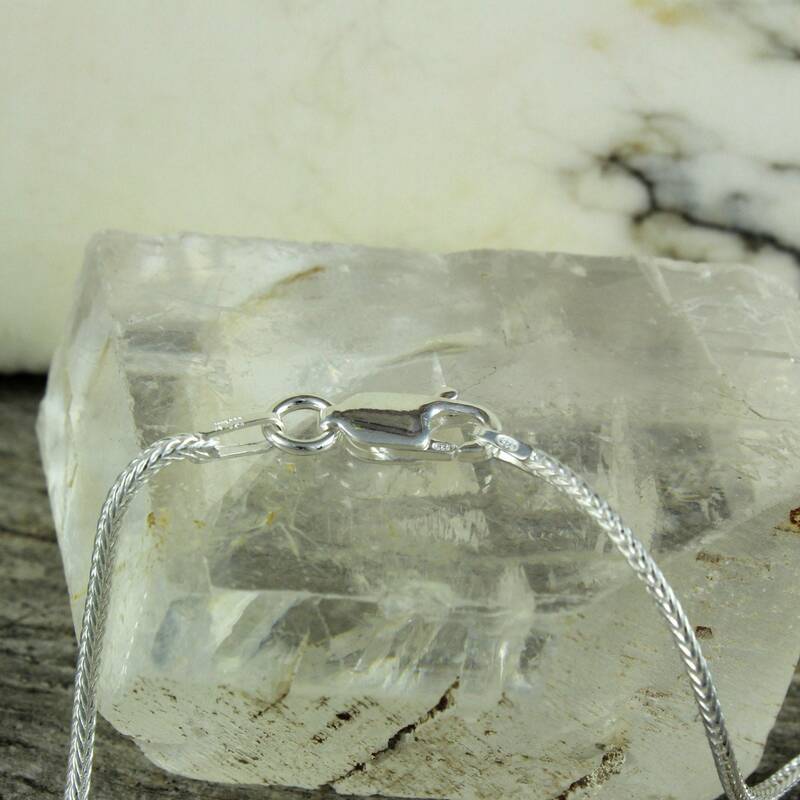 The included sterling silver foxtail chain is 18" long. 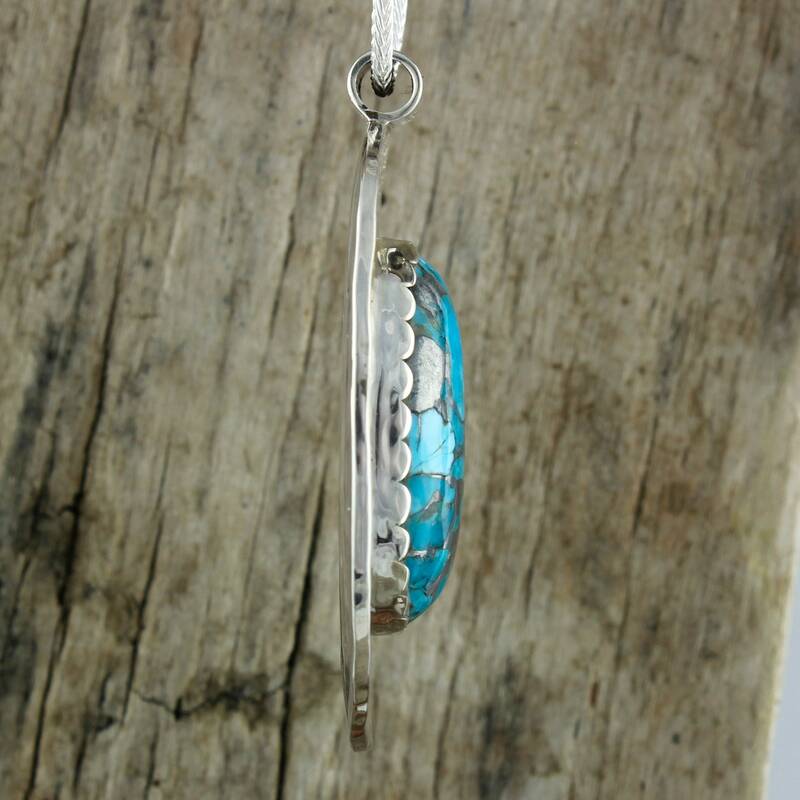 The sterling silver pendant is 45mm x 30mm (1 3/4" x 1 1/4"). 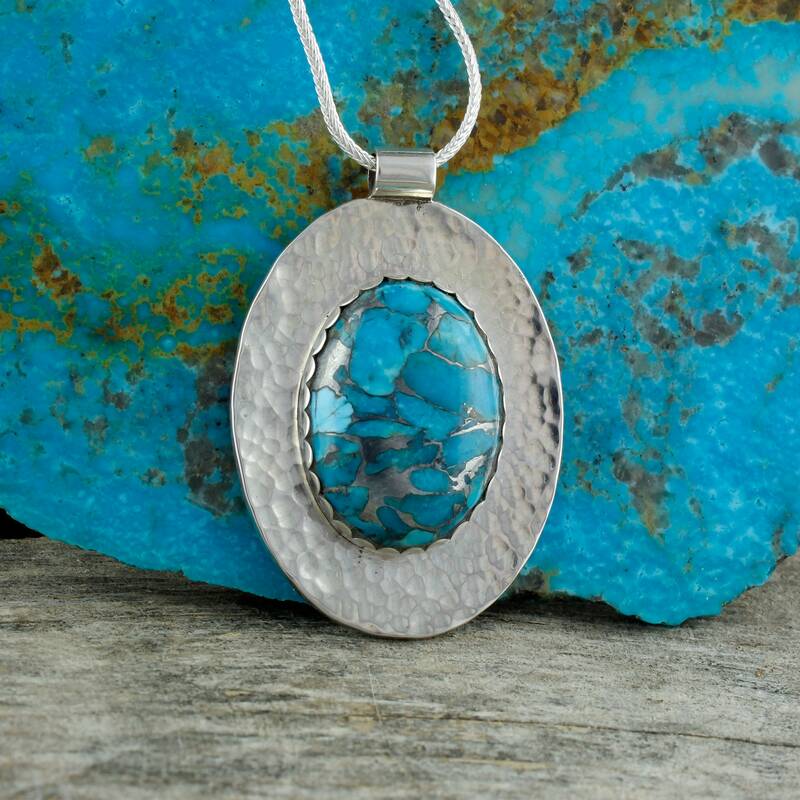 Mohave Blue Turquoise is made by taking pieces of stabilized blue Kingman Turquoise and mixing them with zinc. The mixture is then pressed into a solid block. It is not dyed and has a heart of blue Kingman Turquoise! 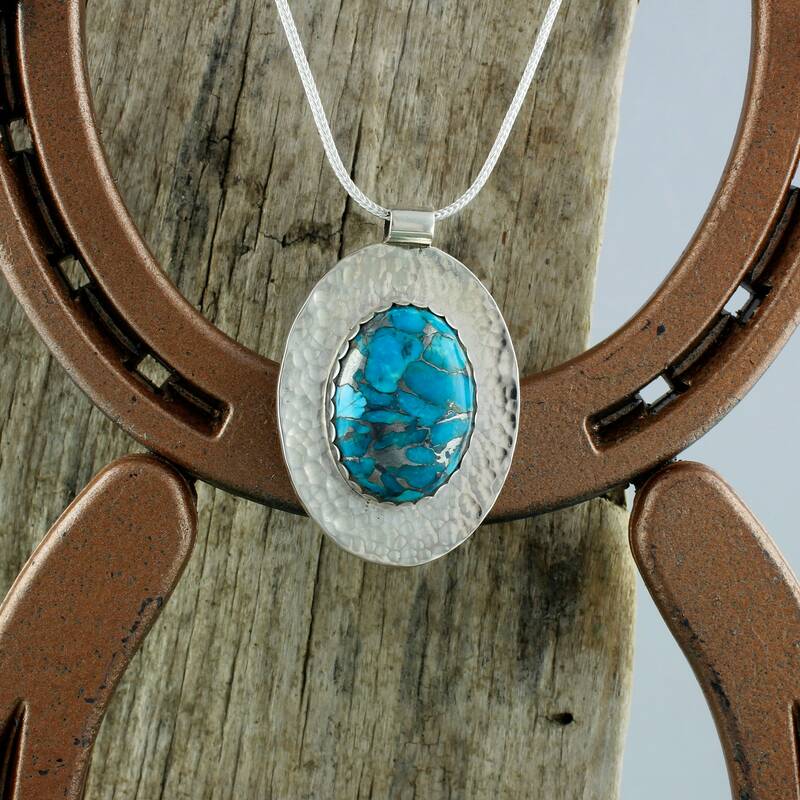 We shaped and polished this piece of Turquoise by hand in our workshop in Montana and we love it! 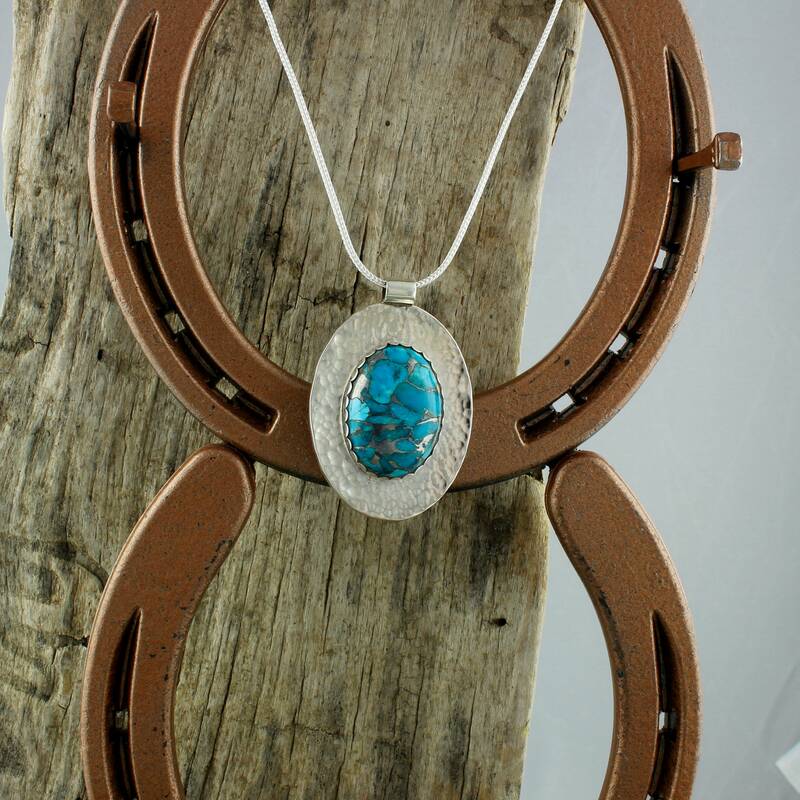 This piece has a fantastic blue color! 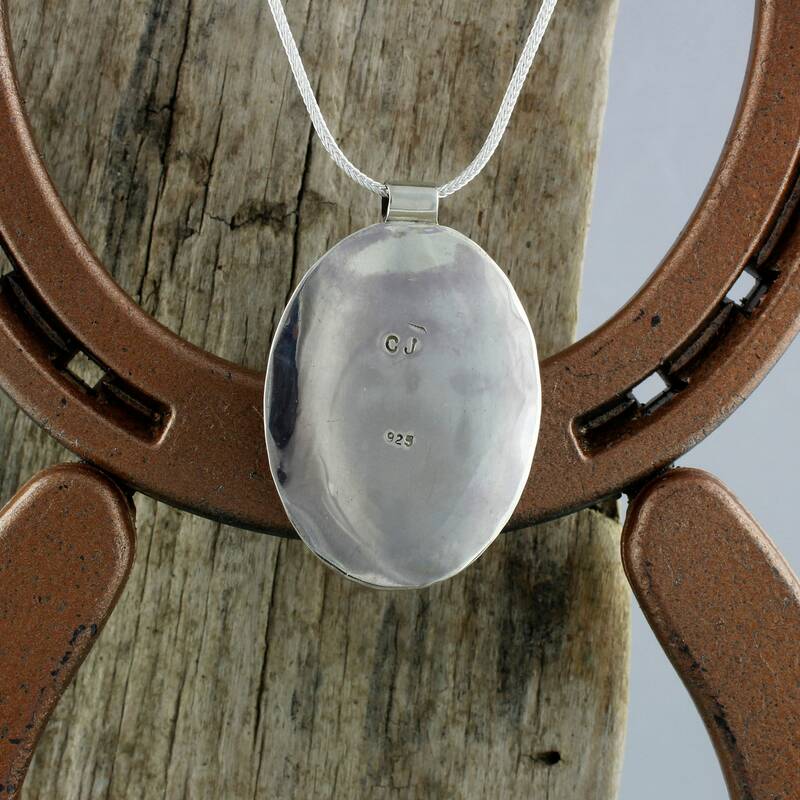 We also hand-crafted the new sterling silver pendant. We left it a little "rough" around the edges to give it a "handmade vintage" look. 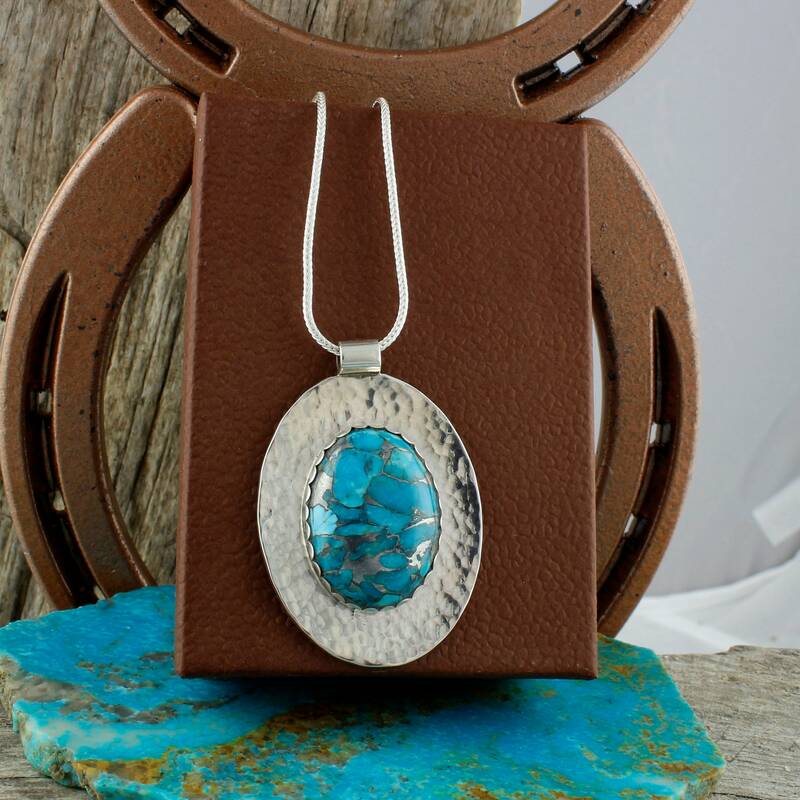 This quality pendant is one you will be proud to own and wear or it will make a fantastic gift! 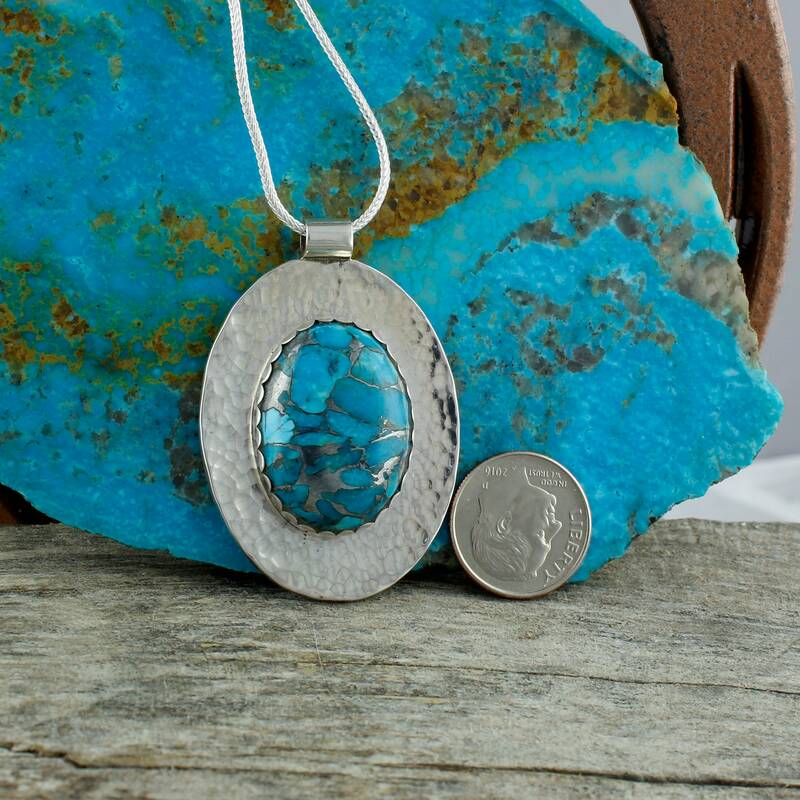 As with all our pendants, we will ship this pendant in an elegant gift box for no extra charge!